ISI 2019 Admit Card is releasing on 18th April 2019. 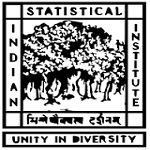 Indian Statistical Institute (ISI 2019) offers admission through its national level entrance exam. ISI entrance exam is a gateway to get admission in B.Stat (Hons. ), B.Math (Hons. ), M.Stat, M.Math, MS (QE), MS (QMS), MS (LIS), M.Tech (CS), M.Tech (CrS), M.Tech (QROR), PG Diplomas and Research Fellowships programmes. The admission will be offered in its all campuses situated in Delhi, Bangalore, Chennai and Tezpur. ISI 2019 Exam Date has been revised. In this article, candidates can check the al information related to ISI entrance exam 2019, including, application form, exam dates, eligibility, exam pattern, etc. ISI 2019 Admit Card Date has been postponed. Now, it is releasing on 18th April 2019. Check here for admit card details. ISI 2019 Exam Date has been revised. Now, it will be conducted on 5th May 2019. Click here to check other dates. ISI 2019 Syllabus & Sample Papers for various courses has been released. Check below. After releasing the admit card by the authority, candidates will be notified by e-mail about the downloading of the admit card. The ISI admit card will be released on 18th April 2019. After the applications are processed at ISI, the admit card for the admission test along with the Registration Number will be generated. Candidates will receive a link containing the information in his/her account. The general ISI exam pattern is given below. However, candidates can check the exam pattern for particular course from the ISI official website. Duration of Exam: The complete exam will be of 4 hours. 2 hours for forenoon exam and 2 hours for afternoon exam. The syllabus of all courses is different. ISI syllabus is set by the ISI authority itself. The questions will be set from the undergraduate or 10+2 level. For B.Stat & B.Math, the syllabus include the topics from Algebra, Trigonometry, Calculus & Geometry. Click here to view ISI Syllabus & Sample Papers. Question: Who conducts the ISI entrance exam 2019? Answer: ISI entrance exam is conducted one in every year by the Indian Statistical Institute. Question: Can I apply through any other national level entrance exam which is equivalent of this exam? Answer: No. For admission in ISI and its affiliated campuses, it is must appear in ISI exam. Question: I have done my engineering in ECE stream. Can I apply for B.Math? Answer: Yes, you are eligible to apply in B.Math course. Question: 12th appearing students can apply? Answer: Yes, appearing students can also apply. Question: What is the mode of examination? Answer: The ISI exam will be conducted through offline (pen paper) mode. Question: Is there any seat reservation for SC/ST/OBC? Answer: Yes, the reservation is available for reserve categories. The seats can be checked in the official information bulletin of 2019. Question: How many times one can attend the ISI entrance exam which is conducted by the ISI?? Answer: One can attend this exam as many times as they can. The ISI result will be declared in the month of June 2019. ISI result can be downloaded through online mode. To view the result, candidates have to enter their registration number generated at the time of filling application form. On the basis of results, the authority will drawn the merit list for selection of the candidates for admission. The ISI selection of the candidates for admission will be based on their performance in written tests and interviews conducted by the Institution. They will be called in the order of their merit rank in the merit list for counselling. The final admission will be offered subject to satisfying the minimum academic qualification and verification of the original documents. 50% seats are reserved for Domiciled candidates of the North-East states of India. The application form are accepted from the eligible candidates through online mode. 3 years of Statistics (Hons.) Candidates should pass 10+2 or its equivalent with English and Mathematics subjects. 2 years of Master of Statistics 3 year Bachelor degree or BE/B.Tech degree with statistics subject. M.Tech (CS) Master degree in Mathematics/ Statistics/IT/ Physics/Computer Science/Computer Applications/ Electronic Science or BE / B.Tech or its equivalent. If you have any other queries about ISI (Indian Statistical Institute) 2019, you can write your queries in the comment box given below. how to edit details in application form. I have made some error in application form. I am unable to change it. kindly help me.. There is no option of correction. How can I know/get Syllabus & sample Question for Admission Test 2019 ? if possible pl. send the same at my E-mail mentioned above. i m studing bachelor of actuarial sciece ,after that could i apply fo m.stat?am i eligible of the exam? All information is mentioned in the article. Hi,i have in same condition . If you have any information about that please share with. I am unable to pay the application fee for MSQE in ISI. I filled up the form on 5th feb 2019 but could not pay till now.On SBI bank collect page the name of the college is not showing. Please help. I’m studying bachelor degree 3rd year with subjects- Mathematics, Physics and Chemistry. I want to study Master of Physics.Can I apply for it in ISI? I am in the last year of B.Com, and I had Math as a subject in 12th Grade, am I eligible to apply for MS(QE)? Yes, you can apply if you have passed Bachelor degree with Mathematics, Economics, Statistics & Physics subjects. Wil MSQE 2019 PEA portion be both mcq and descriptive? COMEDK UGET2019 will be held on 12th May 2019. Hi I want to join the course post graduate diploma in statistical methods analytics.i will complete my masters degree in statistics at April 2019. Please guide me..
May I apply for jrf mathematics? I have completed Bsc mathematics from M G university may i apply any courses in ISI. I am pursuing bsc in MSCs.so is it like getting into ISI for masters in applied statistics possible or only msc statistics possible?? paper will be in English medium, the fee & course details are mentioned in application brochure. Sir Mai open university se bsc hu Kya Mai msc Kar sakta hu m.math please bataye sir. Is this university provide distance education. Is there 100’% job placement after b.stat (hons). i am final year student of mechanical engineering.can i eligible for it? I hava done My engineering in CSE Stream, Can I Apply For B.Math? Can we write isi exam after 4 years completion of engineering? Sir i live in jaipur so may i apply through distant education. Is B.Stats(hons)/B.Maths(hons) available in ISI Delhi also? And also does ISI Delhi provide Bsc Maths(Hons)/Bsc Stats(hons)? Sir, I am writing my +2 final exam in 2019 March am I eligible for 2019 b . math in isi can I apply for it sir ? Sir……I am from karnataka if I have to attend the ISI entrance exam then should i have to go to kolkatta only…….. I am student of bsc final year of statistics from Central University of Rjasthan.Sir we read economics,computer science,maths and stats in 1st and 2nd year . In final year we are reading only statistics hons. . So sir please tell me i am eligible for m.stat or not. Sir I have only 40 in maths and I have 70 % marks in overall . Is I am elligible ?? I belong to SC candidate . Check the percentage criteria given in the article. I was a B.Sc graduate, 2017 passed out. Do am I eligible to write the exam ? Is there any rule that the gap between B.Sc and M.sc(in ISI) should be limited ? Sir,I have passed 10+2 in 2016,will I be eligible to give the 2019 B.Math exam? Check the passing year given in the eligibility criteria. I passed HS this year(2018). Will I be able to apply for B.Math in 2019? I am a B.Sc Statistics Honours student in Calcutta University. I have Mathematics as my pass subject in my B.Sc course..So am I eligable for the MS-QMS course from ISI?? How much marks I must have to obtain in mathametics on 12 th exam for joining B.STAT. Please the answer below mail.